During the school day I am constantly on the go. From 8am to 6:30pm I am on campus, running around, and in class. So, by the end of class and my extracurriculars I feel gross and tired. But, I carry around a few simple and easy essentials to get you refreshed throughout your school day. First is my Evian facial spray! I first discovered this spray at Sephora forever ago. But, I never got around to trying it. When I studied abroad and went to Paris this spray was everywhere, and was super cheap, so I gave it a try. I have to say it is worth the cost! This spray is the perfect mid day pick me up. It refreshes your skin and gives you a burst of mist to cool you down. I love using it in the summer, but it is also great for the fall and winter months to keep your skin from getting dry. Evian facial spray is the perfect solution to refresh yourself on the go and get that #AnytimeSpa feel. To use the spray you simply spritz a little onto your face or skin and you feel instantly refreshed! It's also super discrete so feel free to use it anywhere your day takes you. Not only will it leave you refreshed, but it revives your makeup. This size is perfect for storing at the office or in your tote or backpack. But, I also have a smaller size which fits perfectly into any travel makeup bag. A few other products I keep with me include powder, concealer, lip balm, and a Tide to go stick to refresh myself throughout the day. My Tide to go stick is perfect for if you have a spill on your clothes, and I love touching up midday with some powder and concealer as my makeup fades and wears. 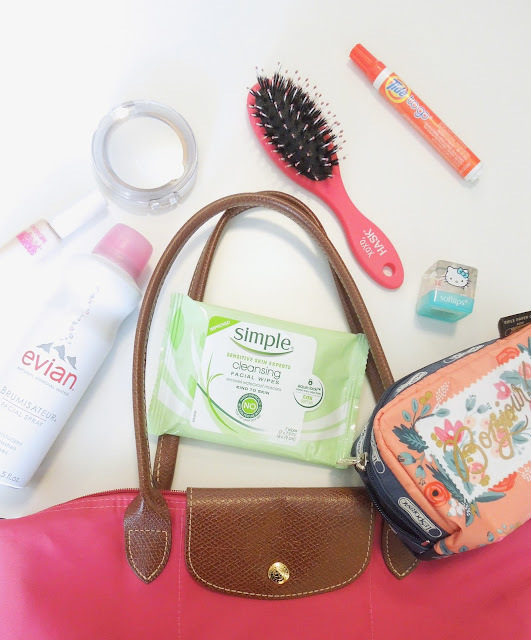 Carrying a hairbrush or makeup wipes can also be helpful to refresh yourself during the day. 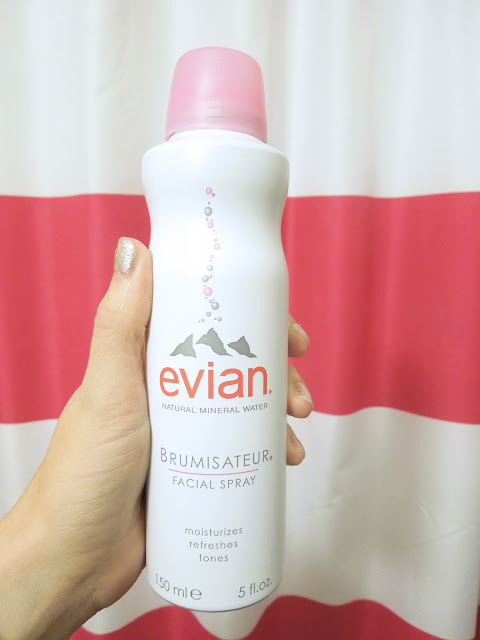 What is your favorite way to use your Evian facial spray to get your #AnytimeSpa? Let me know in the comments! Also, don't forget to enter the giveaway at the end of this post to get your own Evian facial spray.